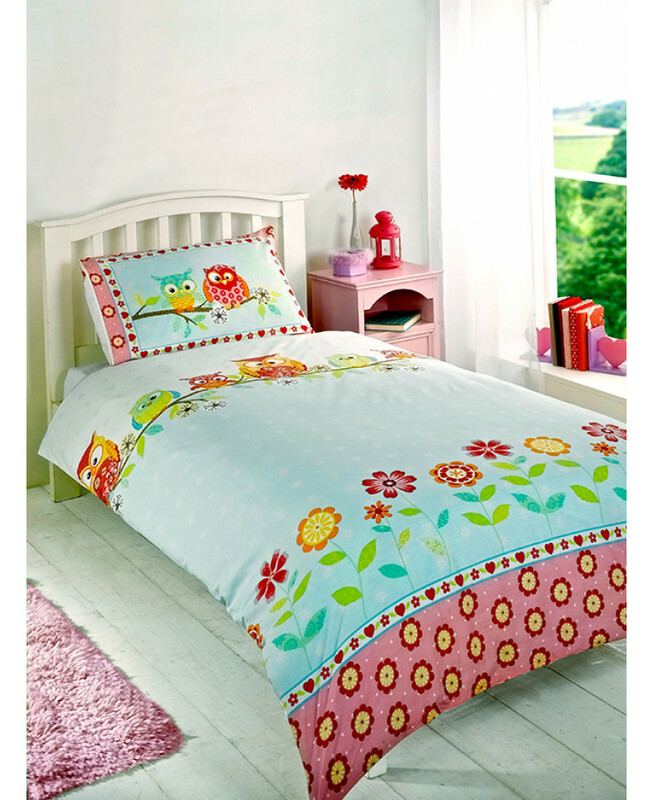 This Owls single duvet cover and pillowcase set is perfect for little girls. The pretty design features a collection of cute owls sitting on their perches with a flower and heart themed border set upon a background which fades from blue to white. This bedding set is suitable for machine washing and tumble drying on a low setting.